Hi, everybody! We’re kicking off a new Clean and Simple challenge today at Make it Crafty’s inspiration blog! Thanks to everyone who entered our August cropped image challenge! We had so many fabulous entries this month, and I can’t wait to see what everyone creates for this one! Our new challenge has a “shades of black and white” theme. I’m still loving the “cropped image” idea, so I chose Make it Crafty’s Witchy Wanda digital stamp for today’s card. (The sentiment is a wooden stamp from my stash). I love making fall and Halloween-themed cards, especially since October is my birthday month and fall is my favorite season! I’ll have a new card to share with you on the Make it Crafty inspiration blog on September 9th, and I’d love it if you stopped by to say hello! For all of the details on this challenge, stop by the Make it Crafty blog and look for the challenge graphic on the right-hand side of the blog! Our challenge runs through the month of September, so there’s plenty of time to play along with us! We can’t wait to see your entries! Thanks so much for stopping by today! I hope your week is off to a great start! School started again for me last week, so I’m getting in the groove of a new semester. See you soon! 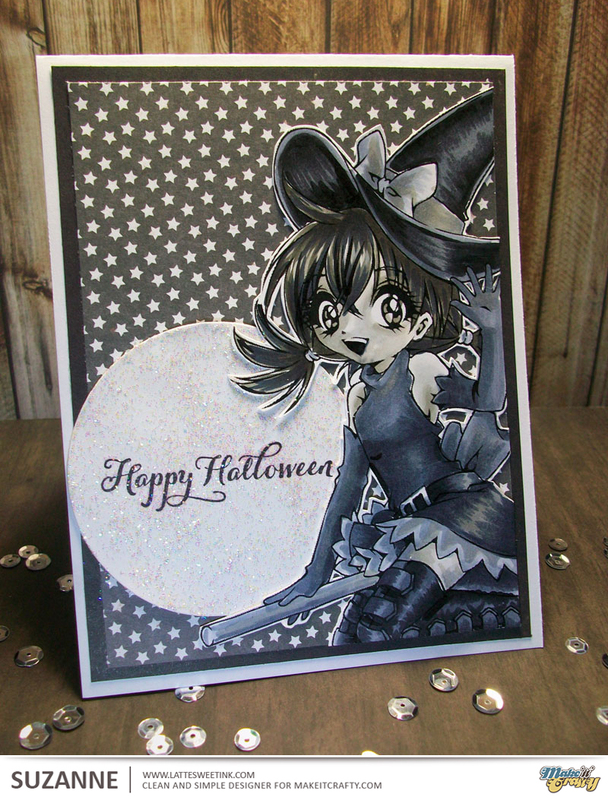 Pingback: Make it Crafty Store – Witchy Wanda in Shades of Black and White!